Do you remember going to your first movie? Or have you been told about your first movie so many times that you're unsure if the memories are real? I'm in the latter category. I went to see E.T. for my first movie. At the end of the movie, I stood up and screamed "E.T. come back" and I burst into tears. Brett and I have talked about taking Isabella to see her first movie in the theater. We took her to the drive in movies for the first time last summer. Something always came up and we never made it to the movie theater. But I think it was fate since my favorite Disney movie was re-released, The Lion King. I was so excited to take Isabella to see The Lion King! I asked my mom to watch the twins so Brett and I could both take her. So we set off to see the Lion King on Monday afternoon. Isabella was very excited to eat her candy and popcorn at the movies. She asked about it the whole way there-"can I have my candy now?" The theater was repairing the downstairs concession stand so we got to take the escalator to the upstairs concession stand. This was very exciting for Isabella. It was one of her favorite things of the trip. Brett had to hold the seat down since she doesn't weigh enough to keep it down. Mommy and Belly before the movie. OK so my favorite part of our movie experience was in the very beginning of the movie. 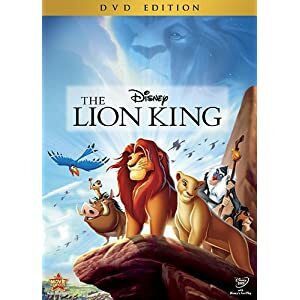 For those of you who don't know in the beginning of the movie there is a song introducing the future lion king. After the song, the screen goes black with the movie name﻿ across it. When the screen went black Isabella wiped her forearm across her head and exclaimed "woo that was a great movie!" Brett and I spent the next 2 minutes cracking up at her, it was so classic Isabella! I watched her through out the movie and she was smiling and laughing for most of the movie. I can imagine how big the screen looked to her and how exciting the experience was. She jumped into my lap during the scary parts. She didn't like the "mean lion" or the "mean high-eign-jahs." I love how she tries to say words that are too long or tough for her. I wanted her to stand next to the sign, this was the best I could get.